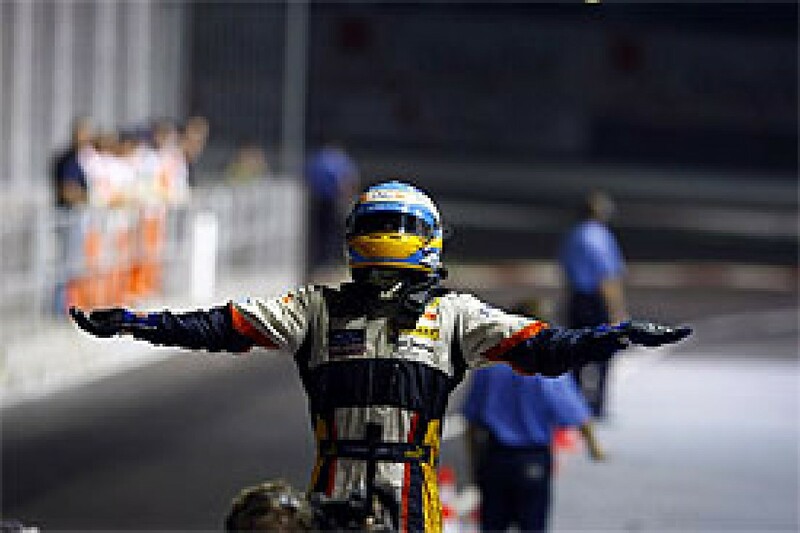 • In 2007 the pole-sitter won the race 11 times out of 17, while in 2008 this happened only seven times in 18 races. Furthermore, in five of them the safety car was deployed after the start (or before it in the Italian Grand Prix), helping the pole-sitter to keep his position. • The leader at the end of the first lap won nine times, while in 2007 it was 12 out of 17. • The front row of the grid was monopolised by Ferrari and McLaren 11 times out of 18, while in 2007 this value was 16 out of 17. • Seven winners, the highest figure since 2003 when there were eight. All-time record is 1982 with 11. • Fourteen drivers on the podium, the highest since 1997. All-time record is 1982, with 18. • Fifteen drivers led for at least one lap, tying the all-time record set in 1954, 1956, 1957, 1960 and 1975. • 2008 saw the second highest number of teams on the front row, seven, compared to eight in 1970. • It also witnessed the second highest number of teams on the podium, nine, compared to 10 in 1978 and 1989. As in 2007, eight drivers completed more than 90% of the distance of the championship (Nick Heidfeld, Robert Kubica, Nico Rosberg, Lewis Hamilton, Felipe Massa, Kimi Raikkonen, Kazuki Nakajima and Heikki Kovalainen). Heidfeld ran 5463 kilometres, 99.7% of the total distance, the second highest figure of all time, behind Michael Schumacher's 100% in 2002. This year Heidfeld missed only four laps in Monaco (after a lengthy pitstop following a collision with Alonso) and one lap at Interlagos when he was lapped towards the end of the race. Of the ten drivers to have the all-time lowest percentage of retirements (out of those who have started at least 15 races), seven participated in 2008. Lewis Hamilton, is the all-time leader with only two retirements out of 35 races (retirement rate 5.7%), Nakajima (2/19, 10.5%), Kovalainen (4/35, 11.4%), Robert Kubica (6/40, 15%), Timo Glock (4/22, 18.1%), Fernando Alonso (25/121, 20.6%), Massa (22/105, 20.9%) and Sebastien Bourdais (4/18, 22.2%). Among the teams, BMW Sauber equalled the lowest all-time season percentage of retirements, with only two out of 36 starts (5.56%). 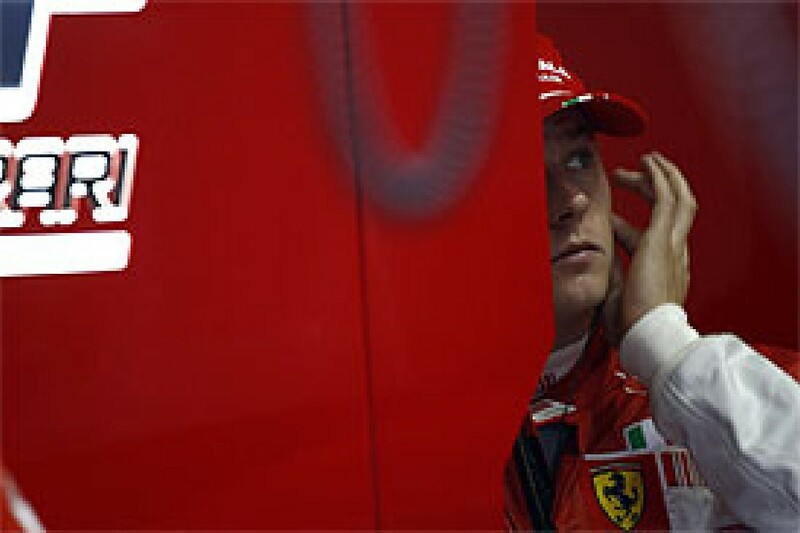 This was also recorded by Ferrari in 2004. In 2008, all 22 drivers, except for the Super Aguri duo, kept their seats all season. The closest year to this was 2000, with 23 drivers, when Luciano Burti was a temporary replacement for Eddie Irvine in Austria after he was sidelined with appendicitis. In 1998 and 2002 there were also 23 drivers. In 1998 the only switch was in the Stewart team, when Jos Verstappen replaced Jan Magnussen from France onwards, while in 2002 the "23rd driver" was Anthony Davidson, stepping into the Minardi seat in Hungary and Belgium in place of Alex Yoong. The only real high point statistically for Raikkonen was his season record of fastest laps: ten. He also achieved two other milestones: his 50th podium in Bahrain and the 200th pole for Ferrari at Magny-Cours. Set his season personal bests for wins (six), points (97), front rows (ten) and equalled his personal bests for poles (six, as last year) and podiums (ten, as last year). Massa reached several milestones this year: tenth pole (in Malaysia), 100th race start, tenth win (in Belgium) and tenth fastest lap (in Japan). Heidfeld recorded four podiums this season, a personal record, and set his first fastest lap in Malaysia, but after 150 races he is still short of a win. Heidfeld is consistent though: he is still in the longest run of classifications of all-time: 28 and counting after the Brazilian Grand Prix. Kubica recorded his first pole position this season in Bahrain and his first win in Canada, and collected seven podiums in total, his personal season record. Fourth in the overall standings was also a personal best. Alonso's return to Renault meant that for the first time in the last four seasons he wasn't able to fight for the championship. He scored two wins, instead of the four he recorded in 2007, and the seven in 2005 and 2006. There were no poles, no fastest laps and only three podiums. 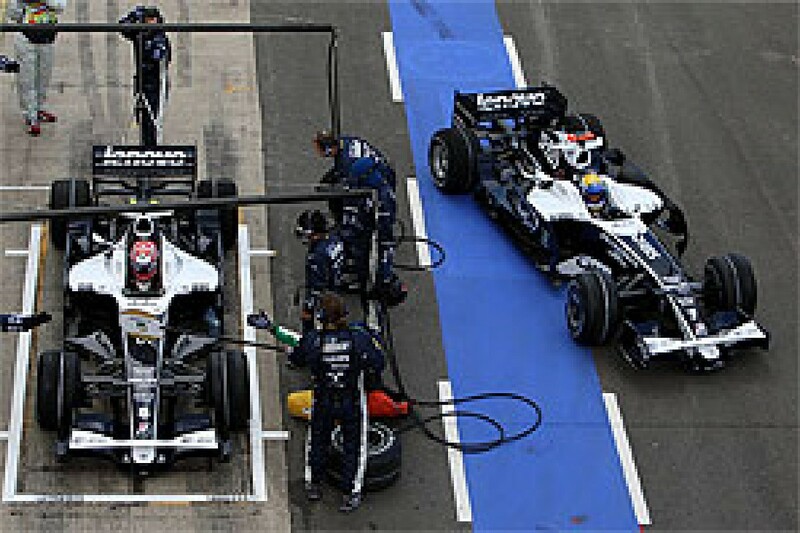 It's the first season since the Spaniard's debut year with Minardi that he wasn't able to start at least once from pole. But Alonso was the first driver since Jos Verstappen in 1996 to record a clean sweep in qualifying against his teammate. Piquet recorded his first podium in Germany, but was at the top of the retirements due to accidents: seven. Rosberg recorded his first career podium in Australia and his best result ever in Singapore, where he finished second. The Japanese recorded his best career result in the first race of the season, sixth, and managed to get into the top ten in qualifying once, in Singapore. His nine point tally was higher than his father scored in his first full season (seven in 1987). Coulthard goes in to retirement following the worst of his 15 seasons: His worst ranking ever, 16th, lowest amount of points, eight, and he was also soundly beaten by Webber in qualifying (15-3). Six of his points were scored when he posted his last career podium in Canada. Coulthard was able to score at least one podium in 12 different seasons, the third all-time value after Michael Schumacher (15) and Nigel Mansell (13). Coulthard's career lasted exactly 14 years, five months and four days and was the eighth longest in F1. The record belongs to Graham Hill, 16 years, eight months and eight days separating the 1958 Monaco Grand Prix and the 1975 Brazilian Grand Prix. Webber reached the 100 career points mark in Japan after 119 races. His seasonal high point was second place on the Silverstone grid. The Italian recorded his first podium in three years in France, and his first front-row start in three years in Brazil. First full season for the German, who recorded his maiden podium in Hungary. Bourdais scored points in his debut race, despite not finishing it after running as high as fourth. The pole and win at Monza put Vettel among F1's wonder-kids. He was the youngest pole-sitter, winner and driver on the podium. Button endured one of his darkest seasons in F1. He scored only three points and recorded his worst championship ranking: 18th. His only points finish of the year came in Spain. 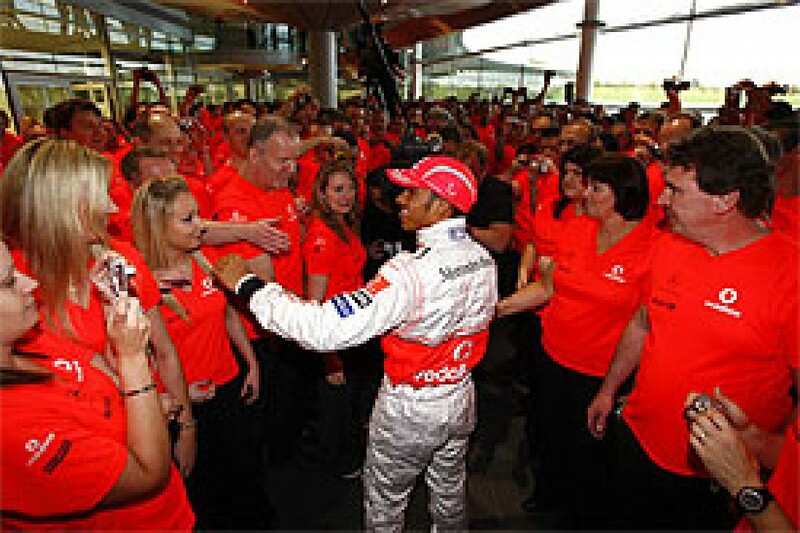 In Singapore he took part in his 150th grand prix. All-time record man for race starts (267 after Brazil), Barrichello enjoyed his moment of glory at the British Grand Prix, when he took his first podium in four years. Unlucky Monaco was one of 11 retirements in 18 races for Sutil. 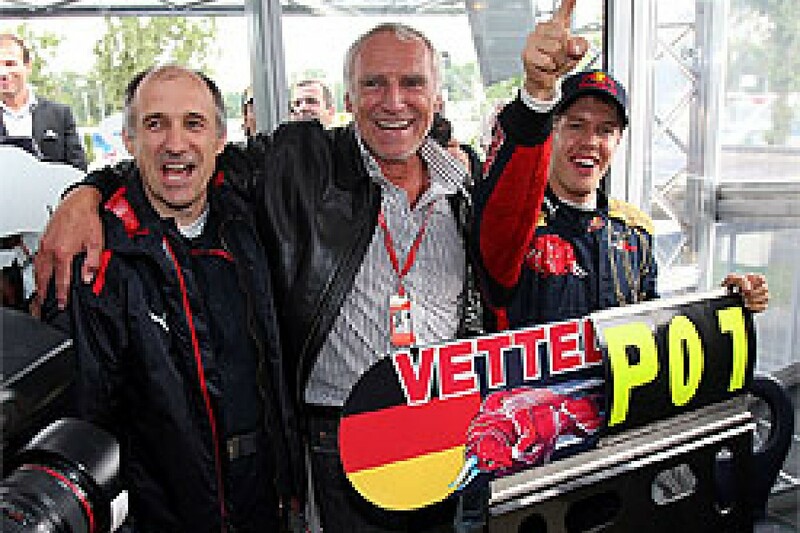 The German scored the highest number of retirements in a single season of the new century, equalling Juan Pablo Montoya (2001), Kimi Raikkonen (2002), Olivier Panis (2002), Giancarlo Fisichella (2003) and Webber (2006). The all-time record belongs to Andrea de Cesaris, who retired in all 16 races of the 1987 season. For the first time in a full season Fisichella was not able to score points. In Monaco, he celebrated his 200th race start. • All-time leader for points per race, 5.91, in front of Juan Manuel Fangio (5.64) and Michael Schumacher (5.52). • Third all-time for average starting position, 3.26, behind Juan Manuel Fangio (1.76) and Giuseppe "Nino" Farina (3.12). • Second all-time for the percentage of races on the podium out of starts with 62.8%, behind Juan Manuel Fangio's 68.6%. • Third all-time for the percentage of races led, 65.7%, behind Alberto Ascari (81.2%) and Juan Manuel Fangio (80.3%). 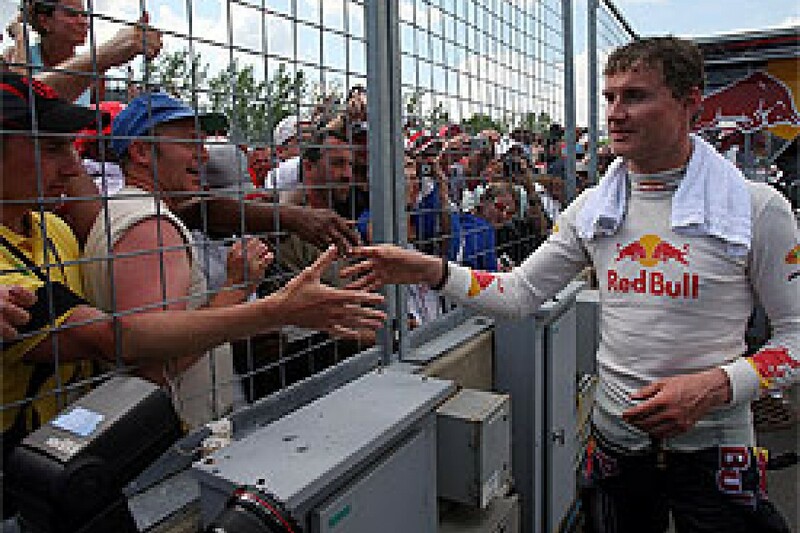 The Finn recorded his first win (Hungary), his first pole (Great Britain) and his first fastest lap (Australia), scoring three podium places to add the one he took in 2007. Ferrari finished the 2008 season down almost 30 points from 2007, losing the drivers' championship, but nevertheless recorded their 16th constructors title. BMW Sauber confirmed their status as the third strongest force in the championship, scoring their first win in Canada, first pole in Bahrain and first fastest lap in Malaysia. The team recorded 11 podium finishes and 135 points in their best season ever. Back to winning ways after the drought of last year, the French team scored almost 30 points more than in 2007. Williams suffered a downturn since 2007. They went from fourth, with 33 points, to eighth with 26 in the constructors' championship. The victory drought has now lasted now four years, since Juan Pablo Montoya in Brazil in 2004. For the third time in four years, Red Bull finished seventh in the constructors' standings, scoring only five more points than last year and recording their maiden front row start in Great Britain. The Japanese team recorded their second best season after 2005: 56 points and fifth place in the constructors' championship, but are still short of a win after 122 races. The revelation of the season were able to score their first pole and win, and pip the parent Red Bull team to sixth in the standings. Scored one more point this season than Minardi did in their 21 years (39 to 38). Honda took a podium in Great Britain and scored eight points more than last year (14 to 6), but ninth was their worst ranking ever in the constructors' championship. Force India were the only team in 2008 (not counting Super Aguri) not to any score points or podiums, or lead a race.